Combo plates, except the BBQ Mix Combo, are served with fried tilapia, fried shrimp, and your choice of meat. All plates come with two scoops of rice and your choice of macaroni salad or steamed vegetables. 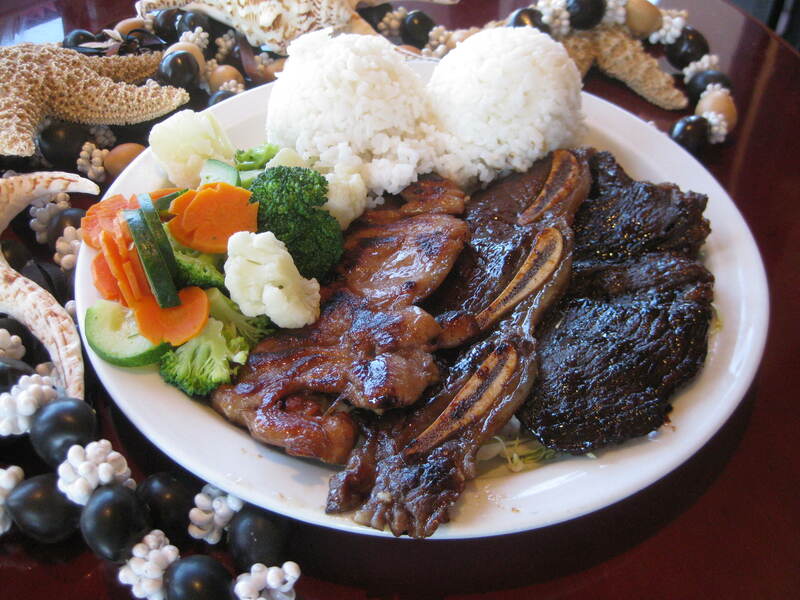 Comes with chicken, beef, and short ribs. A great way to try out all of our delicious BBQ!